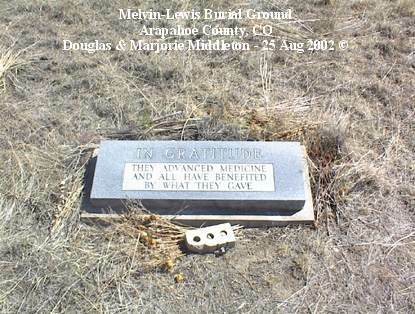 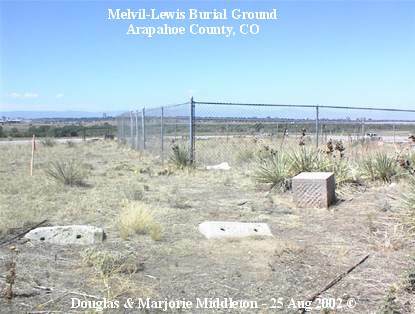 This burial ground is located on Parker Rd, about one half mile north of Orchard Rd (Aurora). 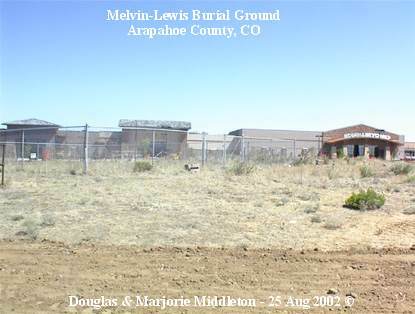 It is currently being surrounded by the Pioneer Hills Shopping Center. 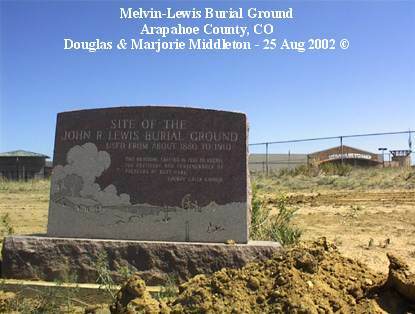 The photographs were taken on August 25, 2002.